Once you’ve had your driveway or patio professionally cleaned by Power Stream Drive Clean it’s worth considering having the cleaned area treated with a sealant. Strengthens & maintains paving performance, the sand is bonded by the sealant. Power Stream Drive Clean uses RESIBLOCK™ sealants which are recognised as the best in the industry; we use RESIBLOCK™ as their products are more durable and typically last twice as long as cheaper alternatives. 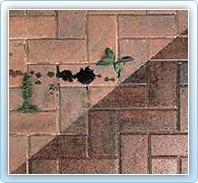 The sealer soaks into the jointing sand, to bind the particles and sides of the blocks, or paving stones together. Then after this penetration actual polymerisation of the urethane takes place in-situ as a result of solvent evaporation, atmospheric and residual moisture. The urethane plastic is therefore effectively cured in place producing a very strong stable bond, which retains the normal flexible properties of the pavement. 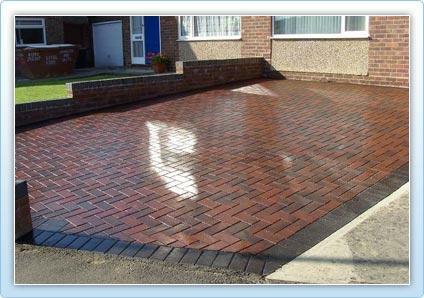 Once sealed with the urethane treatment, the coated driveway will withstand washing with a normal jet washer.